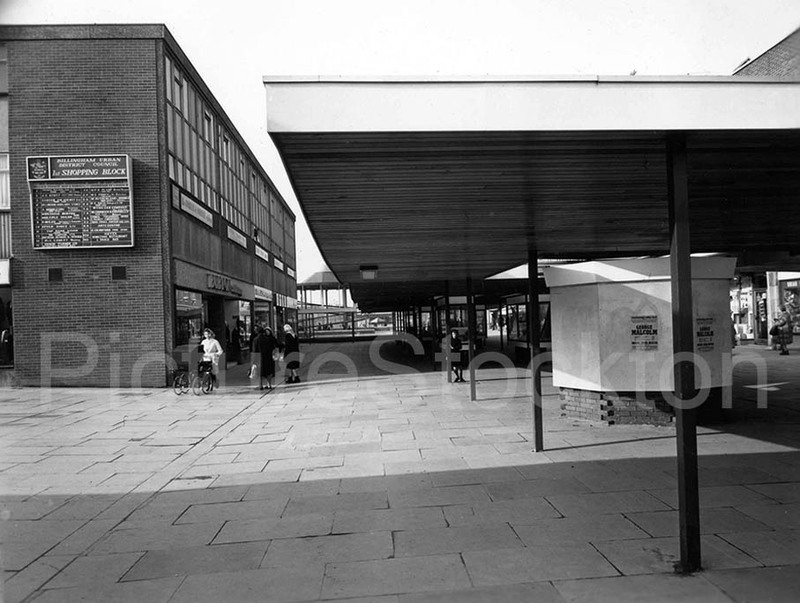 A view Billingham Town Centre. Date unknown. This entry was posted in Misc, Shopping and Commercial Premises by Picture Stockton Team. Bookmark the permalink. As we left for Australia in November 1965 and I remember the Centre when it first opened, I believe this was 1963. It was famous for the first Supermarket with aisles where goods could be personally selected. I remember the lovely shop near the Supermarket that sold ‘modern’ cutlery that our family still uses.